Ahh - a new year. I don't know about you, but the idea of a new year is refreshing to me. A clean slate, a fresh start, a chance to change, to grow, to do something differently. Because of this, it love to choose a few New Year's Resolutions. And also because of this, I generally set such lofty goals that I am almost never able to keep them up for longer than a month. Organize my whole house? Awesome idea! But where do I start?? Lose weight! Great! Oh look, my mom made a pie! Better eat it! The spirit is usually willing, but the flesh is oh so weak. This year, however, I am going to do things a bit differently. This year, I am joining many in choosing one word to be the theme of the year. It is important to reflect and to look ahead. The Bible says "where there is no vision, the people perish" (Proverbs 29:18). Drew and I have thought a lot lately that we are on the precipice of something. Change is all around us - choices for schools for the girls, where to live, how to make work, marriage and raising a family work together... So this year, my word is VISION. I love the idea of one word. As an artist, I know how I can start a painting with one idea, and as I work, the painting morphs into something completely different, yet totally awesome. I expect the same with my one word as God works in me, sharpens me and teaches me. Perhaps vision could be plans for the future, how I view my home or my body, how I view my marriage.... So many ways I can be molded. So, here is what you do. Grab a journal - a moleskin, a composition book - whatever you prefer. Write on the front the word that you choose. Then through the new year, collect quotes, verses, prayers, ideas, conversations... Anything that helps to point you back to your word. 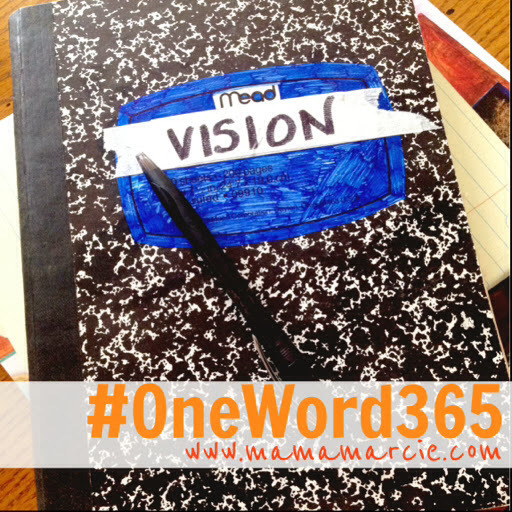 Also check out OneWord365. Look up your word and join a community with people who have also chosen your word. 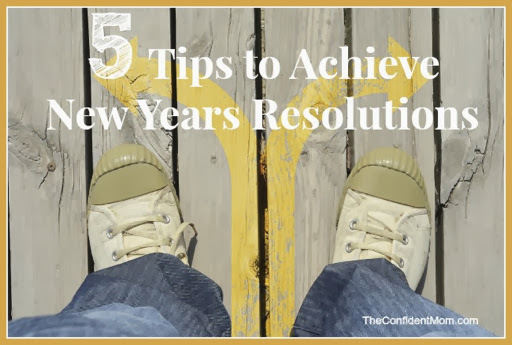 As I finish up this post, I pray that you find something to help you be meaningful and purposeful throughout 2014, however you can achieve that. Have a happy new year, friends! Another awesome and SUPER easy Christmas gift you can make in less than 10 minutes! I scoured the internet and read about 20 different recipes and decided to combine several together and make my own. Here it is! Mix everything in a bowl and scoop into containers. 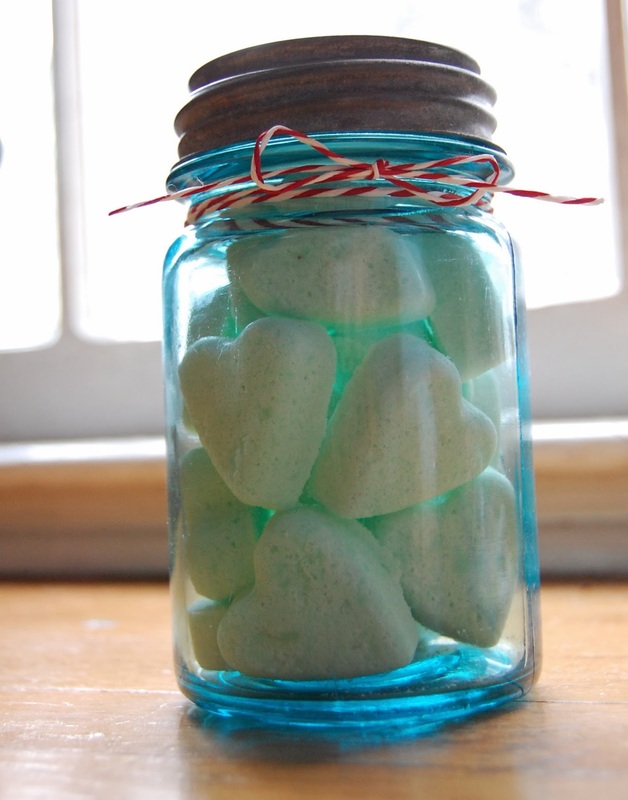 I used half pint sized, wide mouth mason jars. Tie a little raffia around the jar and there you go! A beautiful, useful gift. Here is another idea for Christmas gifts that I am super excited about - DIY Bath Fizzies using Young Living Essential Oils! 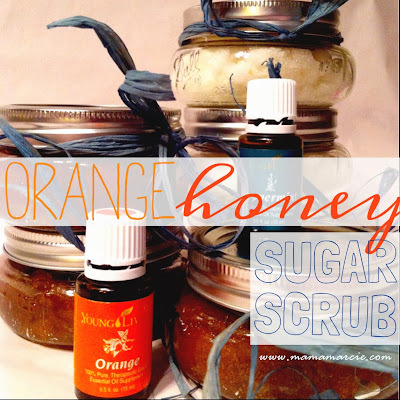 My house still smells awesome from making these wonderful little treats! 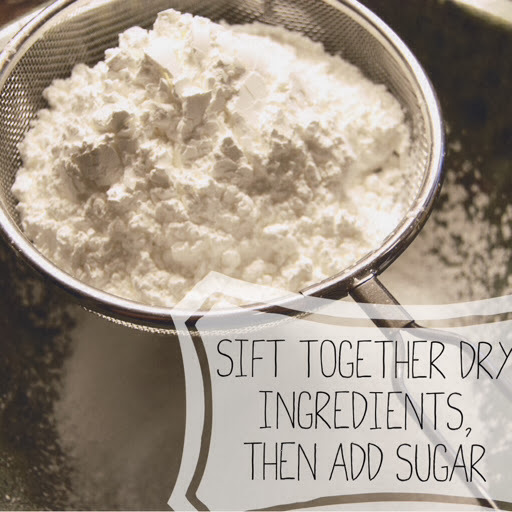 Using a fine sifter, sift together the citric acid, baking soda and corn starch. Then stir in the sugar. Using your spray bottle, spray colored water onto dry mixture, stirring constantly. If your mixture starts to fizz, you are spraying too quickly. This was one of the most difficult steps, but you can do it! 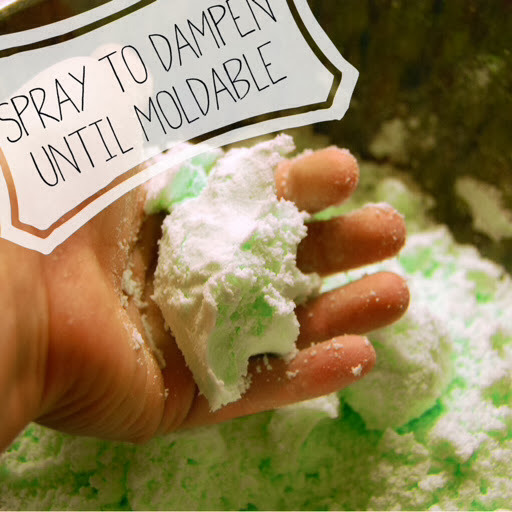 Spray until dampened enough that you can squeeze it with your hand and it will hold it's shape. 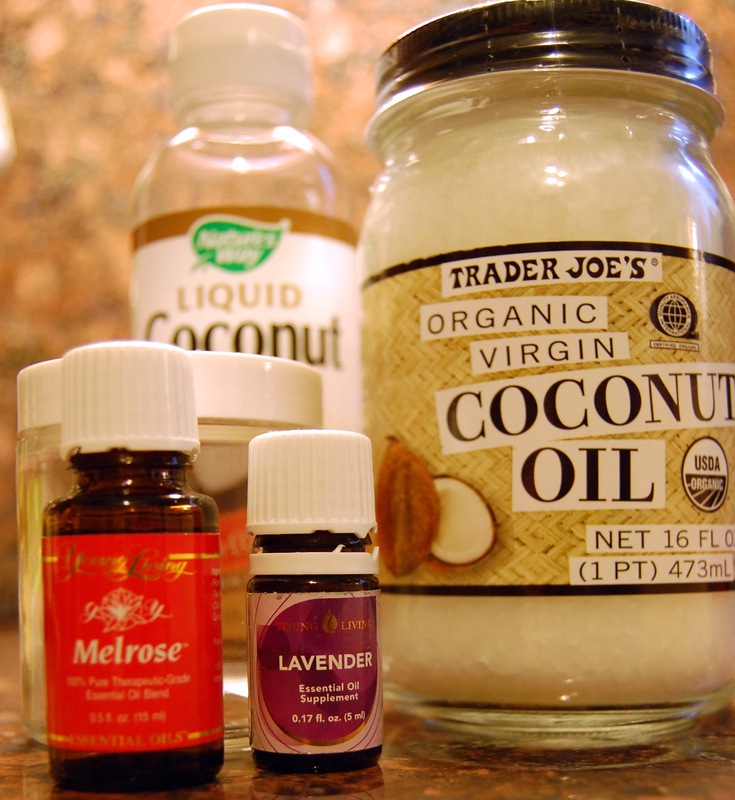 Add your essential oils at this point and use your hands to make sure the mixture is properly mixed. When your mixture is moldable, press firmly into silicone ice cube trays. Make sure you press into the corners so that the fizzies do not break when you remove them. Ok, I change my mind, THIS is the hardest part. Wait overnight before you take your fizzies out of the trays. If you are even half as impatient as I am, you have already tried removing one, haha. I successfully got a few out a couple hours after making this recipe, but when I took the rest out this morning, I was shocked at how much easier it was to remove the hardened fizzies. Package your fizzies in fun containers. The one above I found at World Market. I also used Mason jars and other containers. Tied with some pretty baker's twine, this is a wonderful gift! 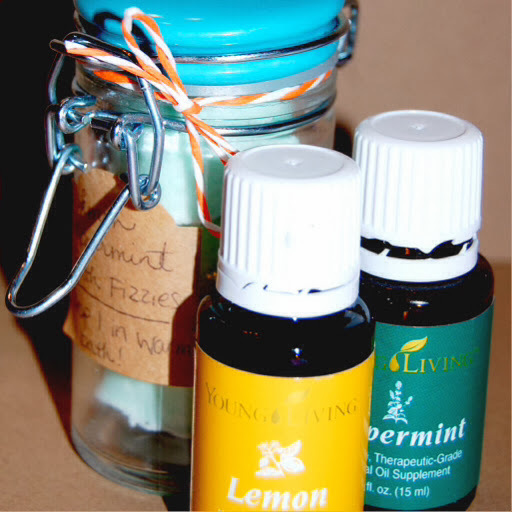 I used Young Living Peppermint oil because it would be wonderful for sore muscles to soak in a bath with peppermint. There are hundreds of other combinations you could use! Lavender for a soothing bath, RC, Peace and Calming, Joy... try this recipe with your favorite Young Living essential oil! 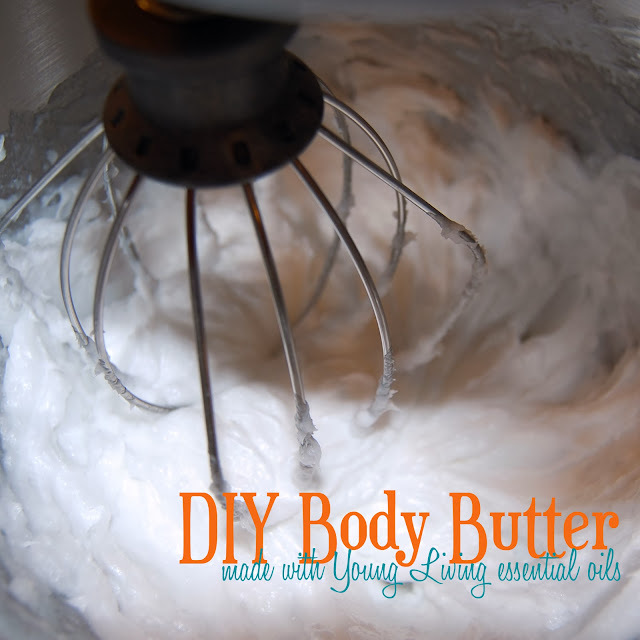 So, tonight, I will share with you how to make amazing body butter with coconut oil and Young Living essential oils. 2 cups organic coconut oil - I used Trader Joe's Organic Virgin Coconut oil. It is a good price, and good quality. I think they would be perfect because of the wide mouth to dig out the body butter when you are getting low. 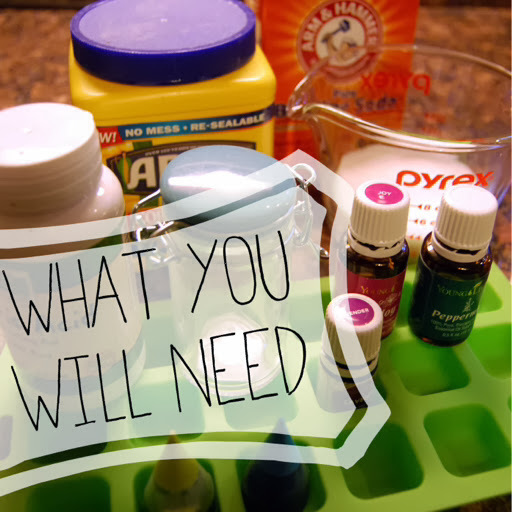 This is the perfect project to do on the icy days we are having in Dallas because you need to bring the oils back to a semi-solid state once they are combined. I melted mine in a Pyrex measuring bowl then placed them outside, covered with a dish towel, while I worked on another project. Don't rush this step. If the oils are liquid, they will not whip. Put the semi-solid oils in your stand mixer (or use a hand mixer in a pinch) and whip the oils until they are the proper consistency. Add Young Living essential oils and continue mixing. 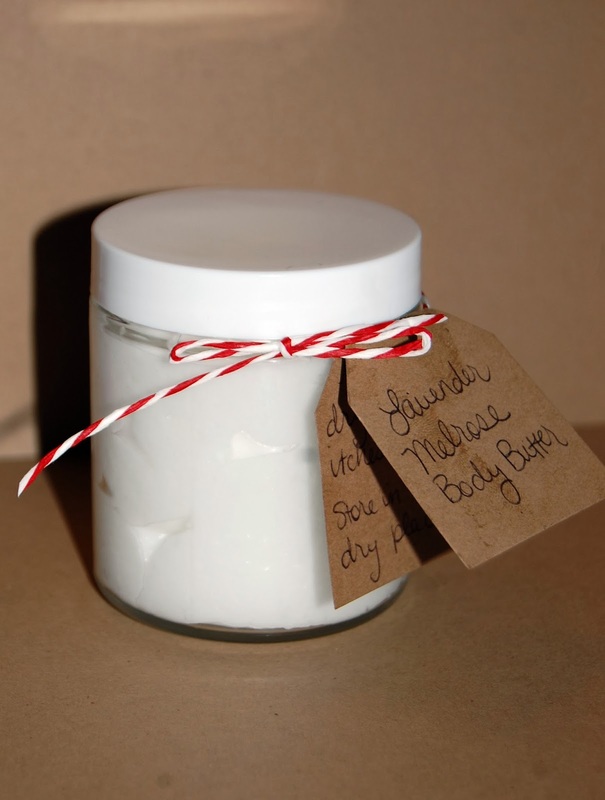 Spoon body butter into your containers. Mine made 18-20 ounces in case you were wondering for planning purposes. Tie on a pretty bow and give as gifts! I wrote a little note that reminded the user to store in a cool place - when coconut oil is warmed, it will turn liquid again. Just from making this, my hands are super soft! I am keeping one for myself and can't wait to add these to gifts for my kids teachers, friends and family. Please remember that I am a Mama and not a doctor. These things work for us and I am in love with using homeopathic remedies for health in our home and I am excited to share them with you, but please use your best judgement for your own home. In north Texas this weekend, we are expecting a thrust into winter with ice and sleet. Ice is not my favorite - if we are going to have winter precipitation, I would much rather have light, fluffy snowflakes. Doesn't the thought of snow make you feel nostalgic, happy, excited, and childlike? I'm not talking about the months of snow that my brother and sister in law experience in Iowa- I'm talking first snow. Let's welcome winter and make a cute craft all at the same time! All you need is newspaper, masking tape and scissors. 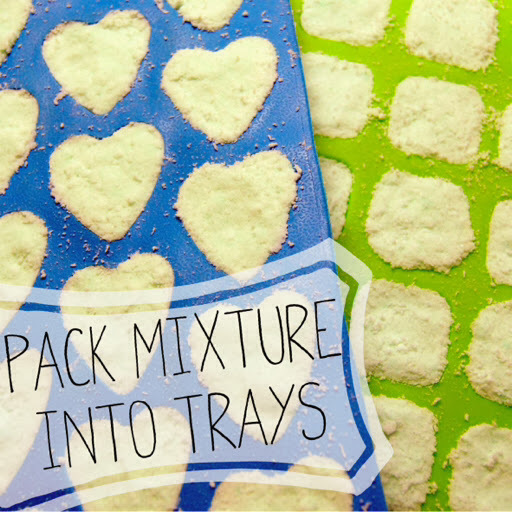 Get your kids to help you and teach them how to make smaller versions as well! 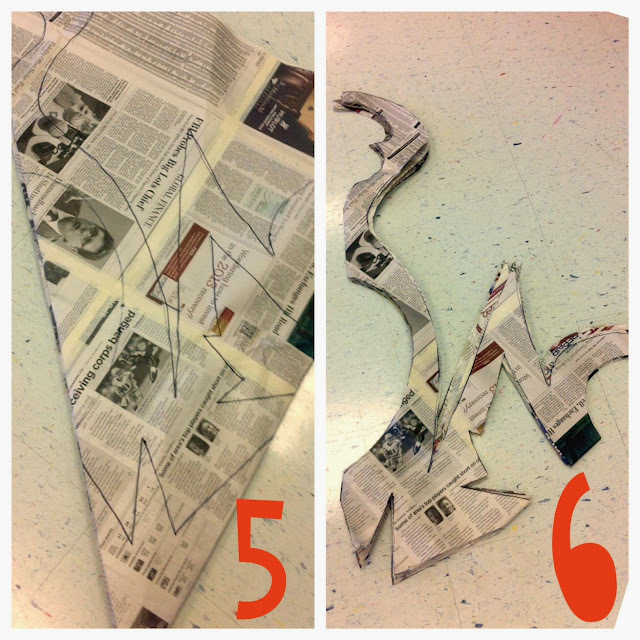 Step 1 - lay out newspapers and tape together using masking tape. I used three sheets of newspaper high and three wide. I found it worked well to take the three in a row together, then tape my three completed rows together. When you have your newspaper taped together, fold in half on the diagonal and trim to square. Step 2 - Fold in half on the center line again (see photo above). It should now be folded in quarters. Step 3 - Fold in half on the center line again (see photo above). It should be folded in eighths now. 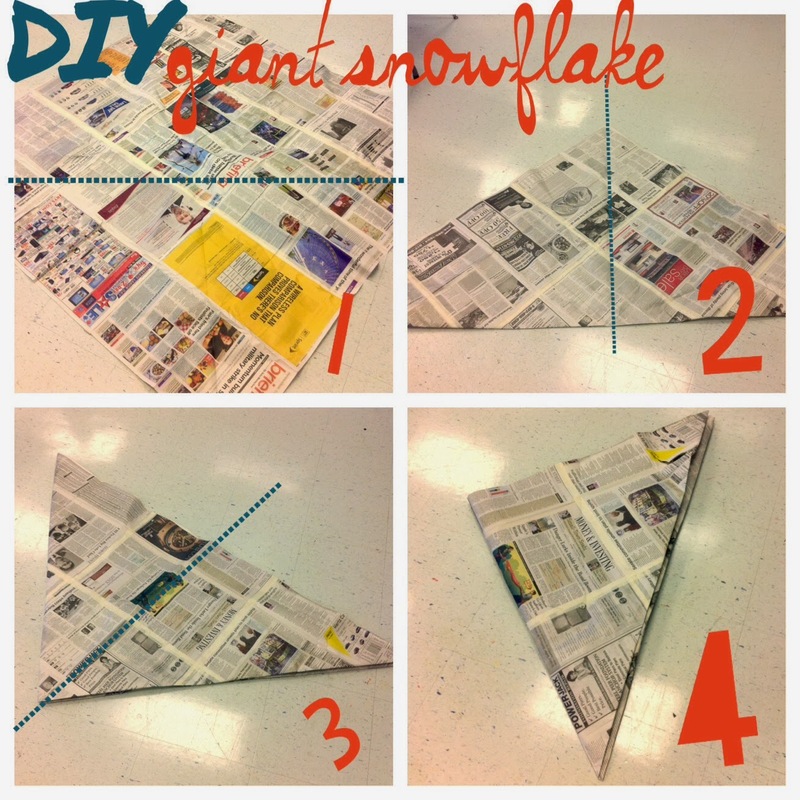 Step 4 - This is a photo showing what your snowflake should look like now - folded in eighths. Step 5 - Draw where you want to cut your snowflake. Make sure you do not cut the entire length of either of the folded sides. You can easily cut things OUT of the sides to make a cool design. Check out Pinterest for awesome templates you can use, or draw your own! 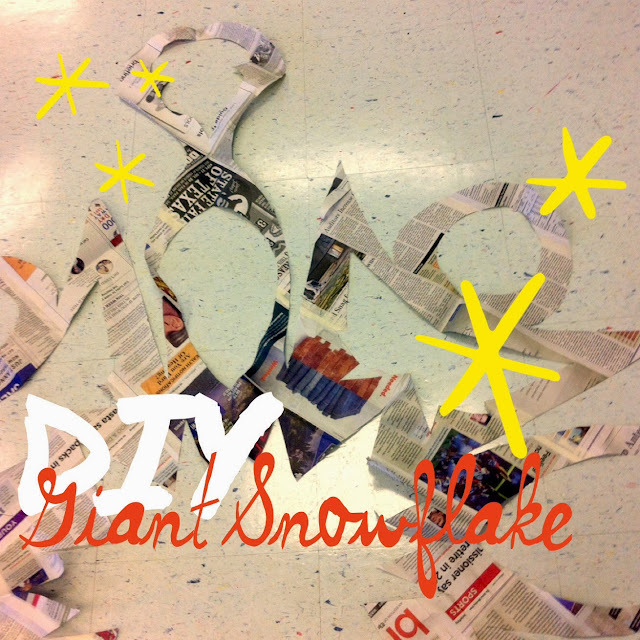 Step 6 - Cut out your snow flake. This step will probably require adult scissors, though feel free to welcome your kids to try on their own with safety scissors if they are old enough. 20 more days until Christmas! 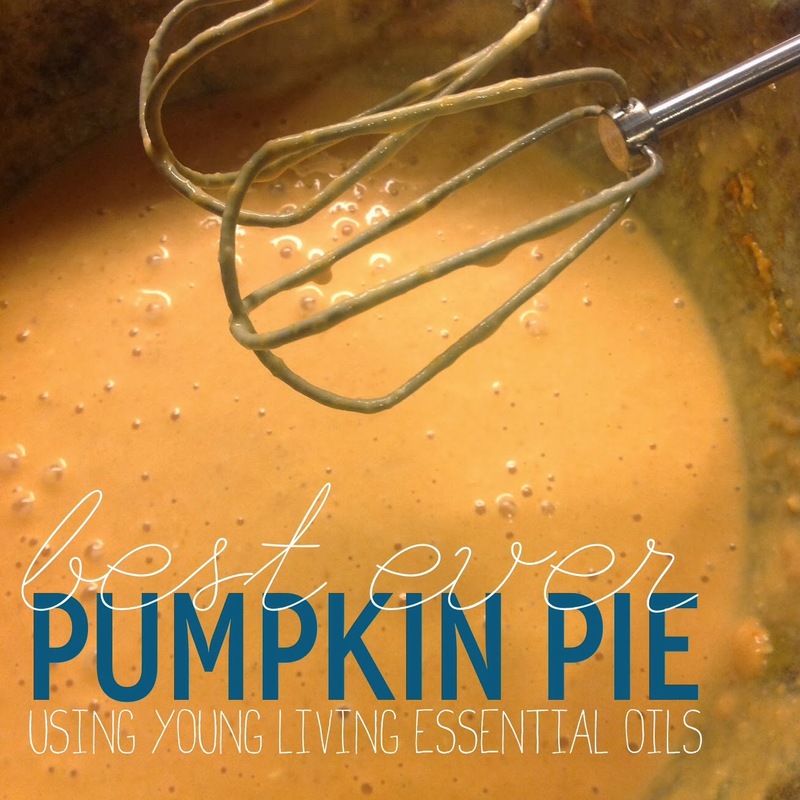 Ok, I know Thanksgiving was last week, but people, this recipe needs to be shared!! Besides, surely you will have more holiday gatherings in the coming weeks - you should definitely make this recipe! Place 1 piece of pre-made pie dough down into a (9-inch) pie pan and press down along the bottom and all sides. Pinch and crimp the edges together to make a pretty pattern. Prick the bottom and the sides with a fork and place in the oven until slightly golden brown. Feel free to use pie weights if you are fancy, haha. For the filling, in a large mixing bowl, beat the cream cheese with a hand mixer. Add the pumpkin and beat until combined. Add the sugar and salt, and beat until combined. Add the eggs mixed with the yolks, half-and-half, and melted butter, and beat until combined. Finally, add the vanilla, and Essential Oils and mix until combined. Hey Y'all, try this pie!! (said in my very best southern drawl) You will not regret it!